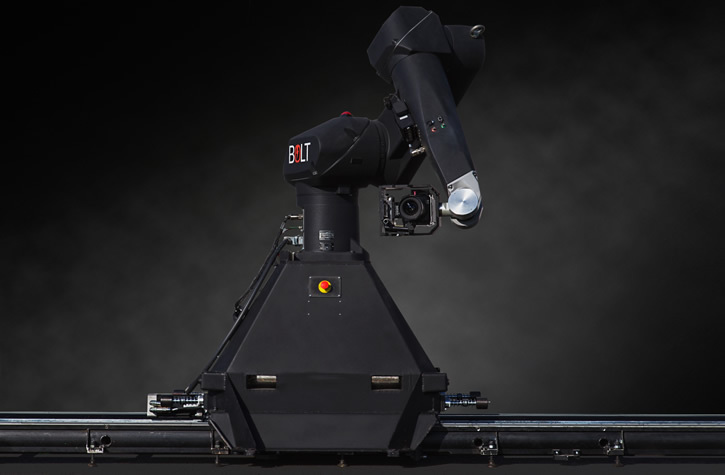 The Bolt High Speed Cinebot is a robotic crane for high speed camera movements. 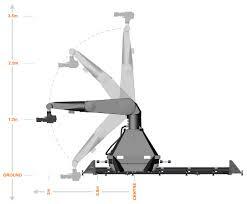 It is a robot with 10 axles with 3 rails of precision of 3 meters each one, and its weight is about 2500 kg. It comes with Flair software, an interface with real-time virtual and augmented reality graphics; though it also allows using designed movements with Maya software and feed them into the Bolt to make them real. This means that any camera movement can be saved in the robot’s memory, so it can repeat them in an extremely precise way. 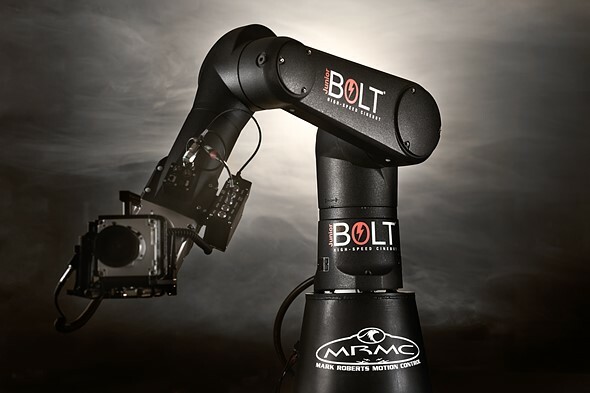 The Bolt High Speed Cinebot robot can speed up almost instantly. It can move from a stand still to a high-speed motion (its top speed is 4m/s) and back in fractions of a second. Therefore, with the Bolt arm, the camera can literally follow falling objects and capturing images that would be impossible other way. 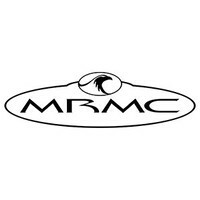 Plate and lens motors are the fastest and the most precise ones in the market. In addition, the Bolt High Speed Cinebot offers DMX lighting control and the possibility to trigger from timecode. You can also put the Bolt High Speed Cinebot on track, so you can have another dimension of movement. This versatile robot gives the operator the ability to follow any object, person or landscape, giving much more flexibility to hers/his visual creativity. Furthermore, with Flair software you can program acceleration profiles to reach and maintain desired speeds in a very accurate way. The Flair Motion Control is the most advanced motion control software available. The movements can be planned in 3D packages that are fed to the Flair and executed by the Bolt. It is also possible to export movements from the Flair to 3D. 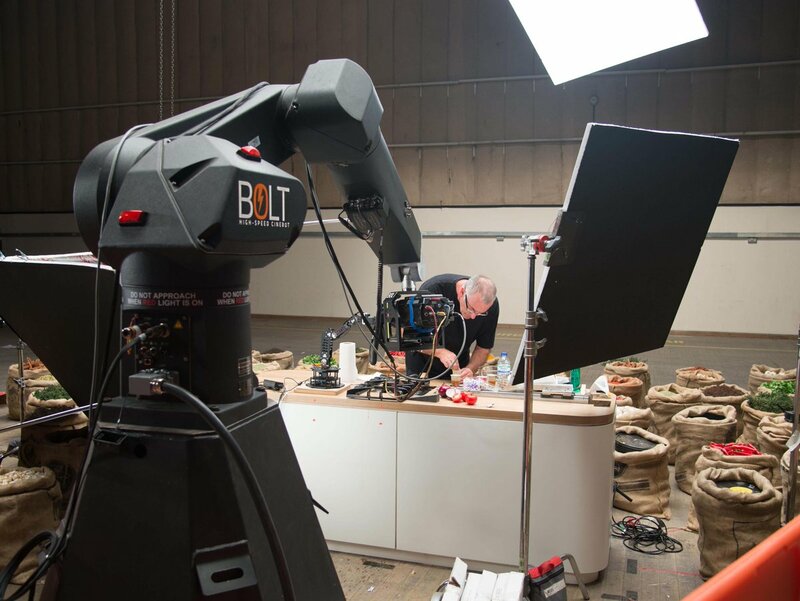 In addition, the Bolt High Speed Cinebot has cranks and scroll bars (Fluid encoded head), as well as options for manual zoom and focus, recording and playback. Therefore, the Bolt High Speed Cinebot can move in fractions of a second due to its acceleration and in a very precise way because of the Flair Motion Control and 3D packages. Even a liquid pouring in a glass can be followed, for example, when shooting in 1000 fps, achieving amazing effects. What happens in a blink of an eye, now can be watched at the same time with a movement around, providing more dynamism to the final edition.